Steven Adler has been placed in a state-sanctioned drug rehabilitation programme by an LA court commissioner. The former Guns N' Roses drummer missed an appearance on drug possession charges last week, but told the court on 19 December that he was taking part in the televised rehab programme Celebrity Rehab With Dr Drew. The Associated Press reports that Adler will remain on probation while he completes the further stint of treatment. 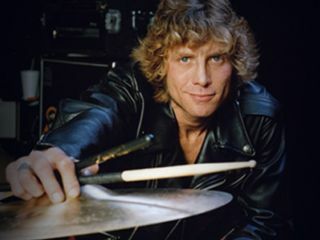 At a November court hearing, Adler's lawyer said the drummer wanted to get clean in order to reunite with his old band. "When he gets sober they'll accept him into the band and then they'll do a comeback album and a world tour, that's the dream of Steven Adler," Barry Gerald said. But Guns N' Roses' management said last week that Axl Rose would not be staging a reunion with former Guns N' Roses members.